Natural fiber rugs made from sisal have more than one attributes making them a great choice for styling your home interiors. Sisal fibers are recognized for their highly durable nature and hardwearing properties. These fibers can be colored in various tones, especially in earthly hues to generate an unmatched stylish appearance. However, sisal mats and flooring are much more than a splendid and long-lasting choice. Homeowners can use sisal rugs for enhancing the depth, dimension, as well as for lending personality to an area. Read on further to know a few ingenious ways to find some style inspiration for your home’s interior design. Smart styling choice: Open floor plans have a tendency to appear like a warehouse rather than looking like a living place. When you need to create boundaries without using a partition or a wall, the sisal rug is a great bet. Apart from adding aspects of coziness and warmth in the area, it also renders a welcoming feel. Various kinds of textures, weave and color combinations available in sisal flooring covers make them a smart choice for all styles of homes, ranging from classic traditional rustic to the modern and contemporary. With their unique ability to blend and complement the surroundings, sisal flooring enhances the look without any clashing factors. Nevertheless, a sisal rug is going to save you from the melancholic feeling of highly coordinated interior design. These give a laid back look where one can feel relaxed effortlessly. Use of layers: If you have rugs that are lying unused in the cupboards and storage places of your home due to any reason, use them for layering with the sisal rug for a retro look. If the rug, when used singly would rather create a rug island due to its inappropriate sizing or because it does not complement the furniture in a home, sisal rugs are there to help you. The too small rugs can be taken to new dimensions with sisal flooring covers. As sisal is neutral in tone and highly durable, it is an ideal base for any other kind of rugs. Noted interior designing experts have emphasized that leaving 12-18 inches of space on every side would remarkably bring out the contrast effect in layered rugs. Create order in uncertain mixed patterns: Sometimes, we end up with rooms having identical accents. These seem like unproductive and boring places where you do not like spending much time. 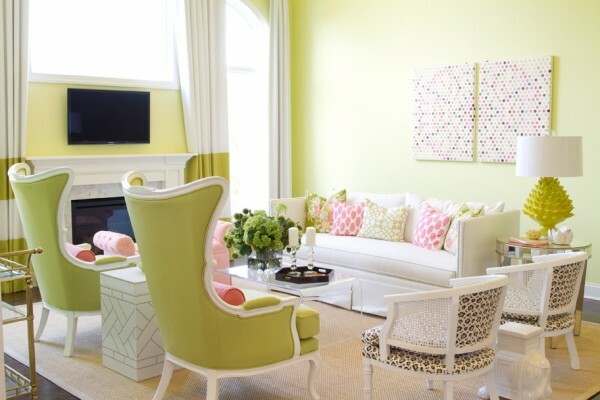 On the other hand, an area filled with clashing color choices in drapes, pillows, and rugs can be equally intimidating. In both these scenarios, a sisal rug can bring a balance and harmony of design with its neutral tones and adaptable nature. Moreover, a judiciously placed sisal rug is going to create a compelling interest and it would highlight your interior design skills to the guests. Border combinations: Adding appealing and complementing borders to sisal floor rugs, you can add an intriguing element in the home interior’s design without costing you much. It is amazing to note that even a little pop of color can entirely change the look of the rug and the effect it imparts.